Trinity Academy’s 125th anniversary was marked with a special article the Evening News this week. 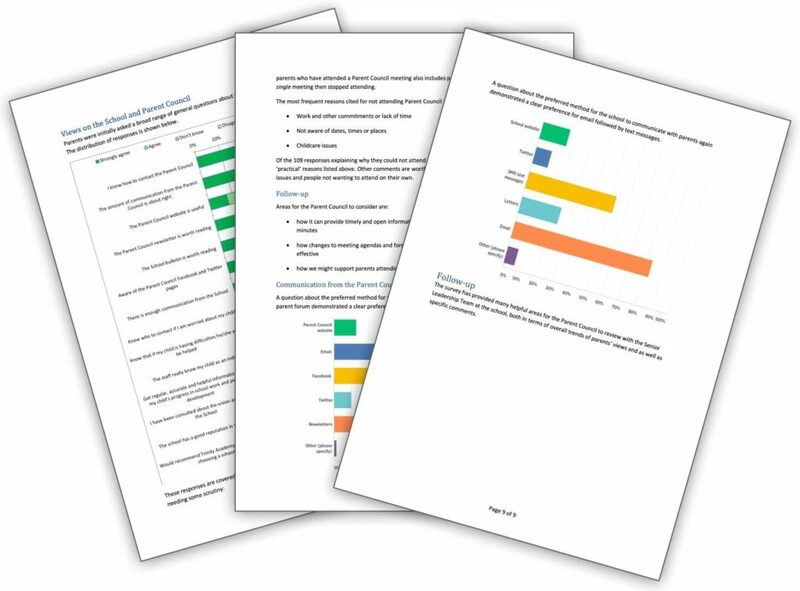 Thanks to everyone who contributed to the survey of parents’ views we carried out in October and November. We received over 200 responses and that’s fantastic rate for a survey of this type. For areas related to the Parent Council, we will look at how we can change the way we work to address any issues raised. For areas related to the school, we will identify the themes that have emerged and provide supporting to the senior leadership team. The report is available in our documents area. Our AGM will take place on the 15th of November, this year starting a little earlier at 6:00pm. It’s a very relaxed evening where we will be serving refreshments and getting to know any new parents who come along. This is the meeting where we appoint Parent Council office bearers and set our priorities for the coming year. It’s also the meeting where parents can join the parent Council, either by attending the meeting or by letting us know in advance by email. To be a member, you only need to be the parent or carer of a pupil at Trinity Academy. Would you like to be more involved in the life of the school? Would you like to help to support the school in its work with pupils? Would you like to help to promote contact between the school and parents, pupils and the wider community? Would you like to help to represent the views of parents at Trinity Academy? If you answered “yes” to any of the above, then you may find it worthwhile to become a member of the Parent Council. You can note your interest by emailing us or by sending a note to us via the school office or you can just come along on the night. If being a member of the Parent Council isn’t for you, you can still be involved. All parents and carers are very welcome at any of our meetings and can still take part in most of our activities. Please consider whether you could help and please do get in touch. During the 2017 open evening the school premiered a short movie to introduce families to the school. It was created by one of S5’s and is a great introduction to the school. The school is running LGBTQ (Lesbian, Gay, Bisexual, Trans and Queer) training for staff on the 23rd October to focus on inclusion and also as a step towards attaining our Rights Respecting School award. There are a small number of spaces available to parents who would be interested in taking part in the training. The training will last for the morning. If you are interested in taking part please contact the Deputy Head, Miss Cook, directly. At this week’s information evening for P7 families joining the school we provided those attending with a pamphlet with information from parents about the school. Our aim was to pass on helpful information from other parents at the start of a family’s journey through high school. The pamphlet for 2017 is available as a download. and we’ve added this information to the website as pages that can be used any time and may be of interest to existing parents too. This booklet, written by parents for parents, aims to pass on helpful information at the start of your child’s journey through high school. So, the 2015/2016 school year is over! And what a busy and interesting year it has been for the school and Parent Council. We have enjoyed a successful year working with Bryan Paterson and his dedicated team of teachers and staff. Our members have been involved in the interview processes for the Rector, the appointments of 3 new Deputy Head Teachers, and Curriculum Leaders for Mathematics and for Expressive Arts and PE. We have supported the school, raising thousands of pounds by running fundraising events and have improved electronic communications with parents as well as sending out the weekly bulletins and played our part in the local community, including Trinity Community Council and Friends of Victoria Park. Watch this space for more news of a joint fun event in August with Trinity Academicals RFC! The school itself is clearly on an upwards path, with a positive vibe, building on its strengths and tackling those areas where there is still room for improvement and really starting to go places. We are looking forward to welcoming 160 new S1s and their families to the school in August – a 33% increase on the intake last year. None of this would have been possible without everyone pulling together to achieve it. Our first meeting in the 2016/2017 school year is 6 September. Please hold the date and thinking about coming along to take part or simply learn more. On behalf of the Parent Council, I would like to thank all parents, carers, pupils, teachers and staff, Council staff, Councillors and MSPs for their support in the last year. 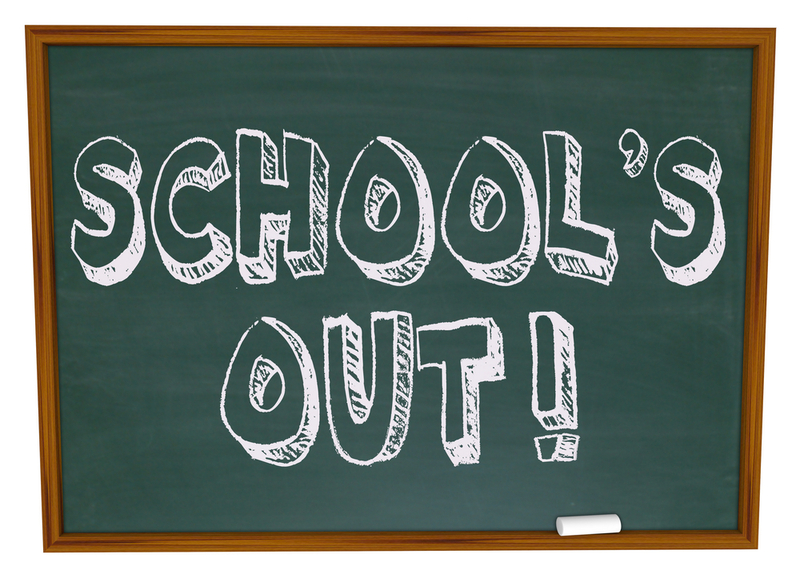 We hope you all have great summer holidays and return refreshed and ready for an exciting new year. Finally, we would like to wish all those pupils and teachers who left Trinity Academy this year the very best of luck in their future careers and destinations. 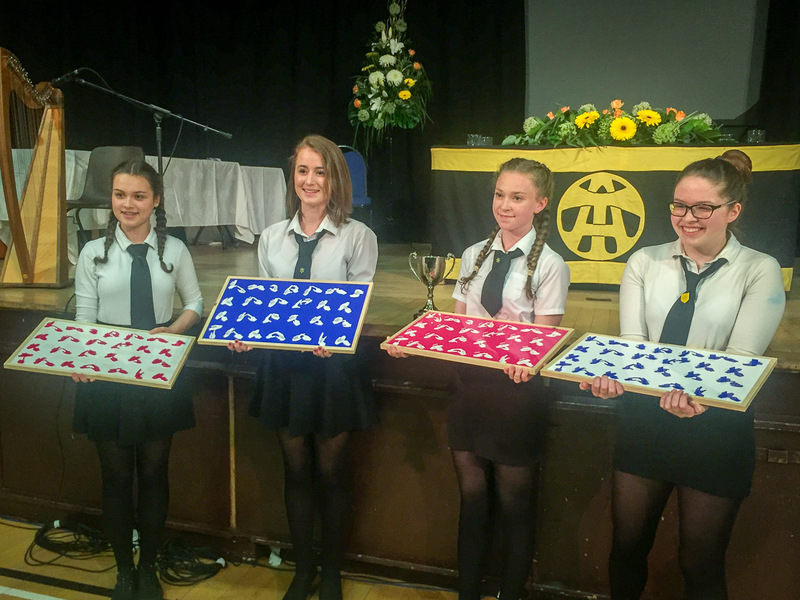 Congratulations to Milly, Eleanor, Kirstin and Dominika from S3 who won this year’s Parent Council Award for the creativity they showed in Design Ventura. In addition to the cup they were presented with replicas of the puzle that took them to the final of the design completion in London. We found it hard to choose a winner from some great nominations this year. Issue 1 of Writer’s Block – a magazine written by Trinity pupils for Trinity pupils is now available on the school website. Like the editor, we lift our glass looking forward to many more interesting articles.